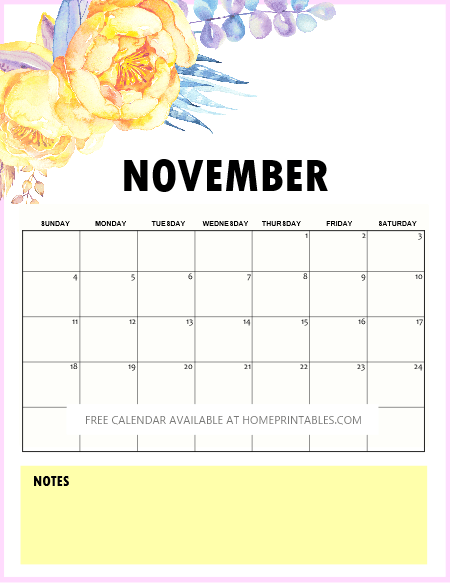 FREE November 2018 Calendar Printable: 10 Beautiful Designs! 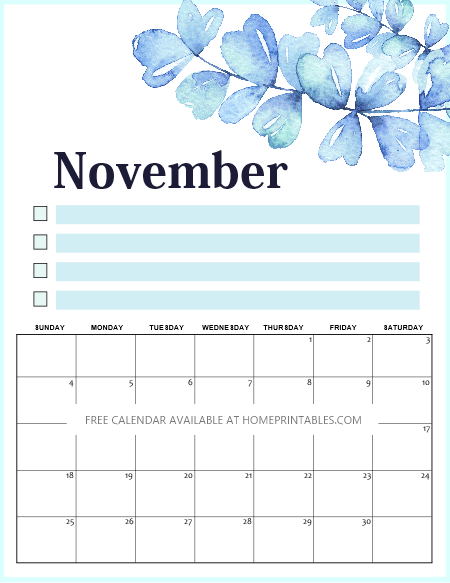 FREE November 2018 Calendars: 10 Beautiful Choices! Plan an amazing November! 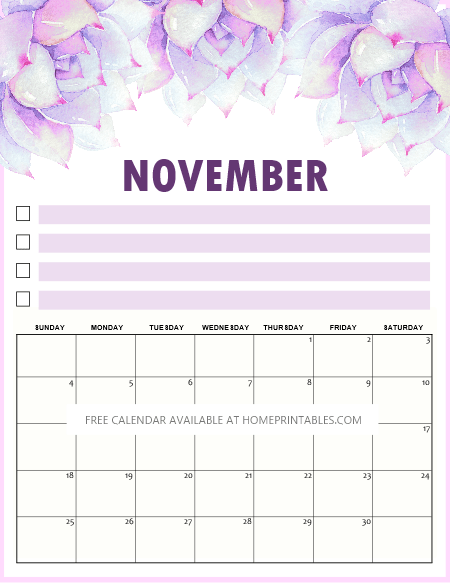 Download your free November 2018 calendar printable from the blog today! We have great designs for you to choose from. Take your pick, they’re all for free printing! Happy planning! Can you believe this? We’re nearing the last month of the year! This year is flying by so fast, isn’t it? Well that’s a good thing! They say that time seem to pass by faster if you’re having a great time. So that means we’re having an amazing year so far! Are you looking at organizing your schedules for November early? With the so many to-do’s that need to be accomplished before the year ends, we certainly need to plan ahead. 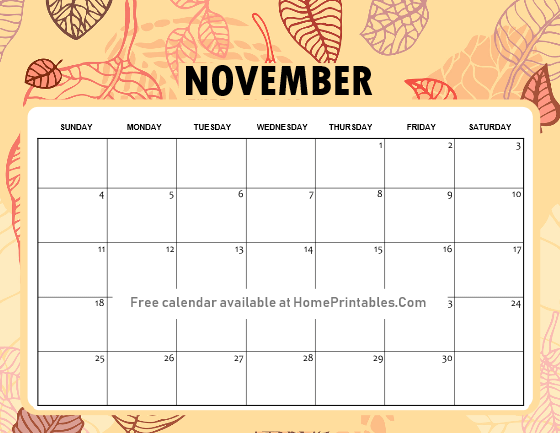 Snag your free November 2018 calendar printable today and start writing down the things you need to accomplish in Novemeber. Here are 10 amazing calendar options for you to choose from. We’re giving you a variety of options as these calendars all come in different themes and style. Friends, snag a calendar for your home, office and kids. Please enjoy these freebies! 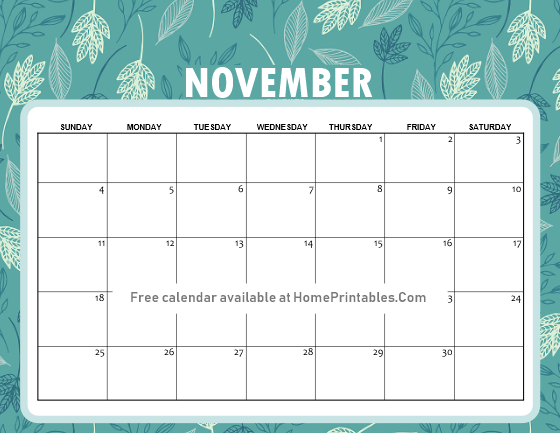 FREE NOVEMBER 2018 CALENDAR PRINTABLE: PRINT AS MANY AS YOU NEED! The first free calendar that we’re sharing with you comes with bold florals. This vertical calendar also has a spot for you to write down your notes. This is great to use as desk calendar in your home and office! Next up is this horizontal calendar with refreshing leaves as background with and with beautiful pops of pink flowers. How we love the refreshing vibe of this calendar! Print off this beauty to organize your schedules. The third calendar that we’re sharing is inspired by the beauty of the autumn leaves. This calendar is great to use in your home as a meal planner or as a family activity planner! Want to stay on the goal this November? The next calendar that we have for you is a goals-focused calendar that will keep you eyes on your priorities for the month. To use, simply identify your January goals and write them down on your calendar. You’ll always be reminded to keep focused that way! 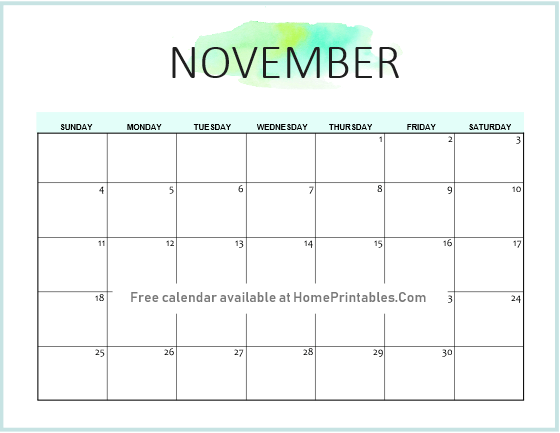 Organize your schedule this month with this free November calendar! It has an awesome leaves-printed blue background. Use this to plot out your monthly reminders so you’ll not forget any! We’re ending this quick “calendar tour” with this succulent calendar that really beautiful! Again, it’s a goals-focused calendar that will allow you to be on top of your priorities this month. Be sure to snag this particular design. It’s really lovely when printed out! So, which calendar design from this set are you going to print? I would love to use the autumn-themed calendar this time. How about you? To finally get your calendar copy, simply click HERE for the horizontal calendars and HERE for the vertical calendars. All of these calendars are absolutely free for personal use! 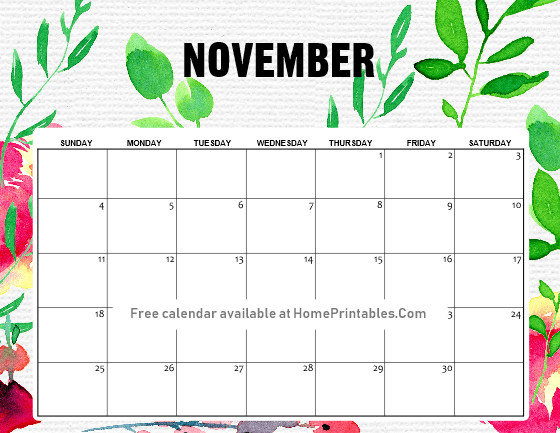 SAVE THE FREE NOVEMBER 2018 CALENDAR PRINTABLE AT PINTEREST! Loving these free November calendars? Please take a second to pin the image below to show some love! Thank you! Have a great November, friends!